Is your house or apartment feeling a bit cramped, but you can't afford to buy a bigger one in a neighborhood you like? Well, why not consider buying yourself an entire town. There happen to be a few for sale that offer plenty of space to spread out, if not a lot of neighbors to hang out with. 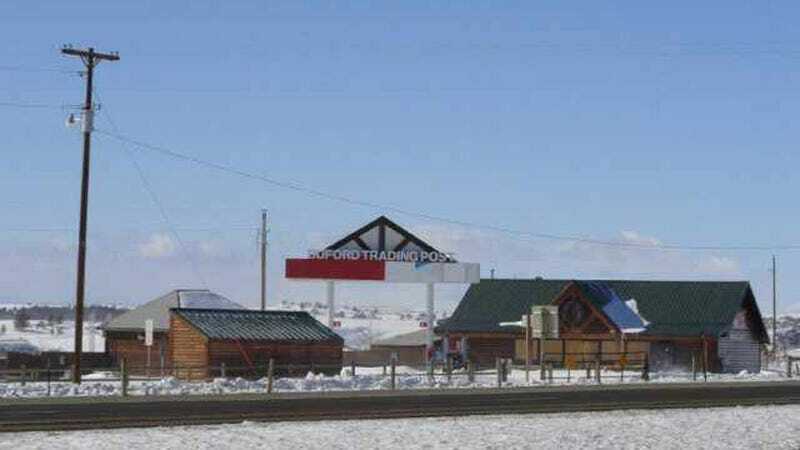 For instance, Buford, Wyoming. Currently it has a population of one: its owner Don Sammons. It used to have three people, but Sammons's wife died and his son moved away. Now he's looking to retire and sell his one horse town to someone else. If the luxury of naming all the streets after yourself and being mayor of your own town has appeal, but Wyoming isn't for you, consider Pray, Montana. It's just 30 miles north of Yellowstone, and you'd live near Jeff Bridges, Dennis Quaid and Peter Fonda. Ooh la la. Right now it has a population of eight people and 12 dogs. That sounds pretty manageable. It too has its own post office and some other historic buildings. It will run you a cool $1.4 million, which isn't so bad for an entire town. So why are towns like these up for grabs? Well, most of them were built to be near railroad tracks but have since been bypassed and are now out of the way. But with people becoming ever less tethered to infrastructure (except for internet access, of course) you could work from the comfort of your own town—or you could retire there and open the world's largest ice cream shop for cats, for all anyone cares. That's the beauty of being in charge: you can do whatever you like.